Congratulations Dr.Barkha for concluding CERTIFIED TRAINING TOWARDS EXCELLENCE IN ENDODONTICS PUTTING KNOWLEDGE AND TECHNOLOGY TO SERVING OUR PATIENTS Dr.Rajat Sachdeva brings a balance of didactic and hands-on approach to mastering the art of modern endodontics. It is aimed at helping clinicians who enjoy the practice of endodontics and who wish to enhance their ability to better serve their patients “in-house.” Live Patient “Endodon-tricks” delivers by a tsunami of information that at once reiterates the core principles of clinical endodontics, and brings about the latest and greatest innovations. “Endodon-tricks and Surg & Rescue”… a Comprehensive Approach to Modern Endodontic Concepts and Techniques by Dr.Rajat. Clinically-relevant, effective, and efficient endodontics like you have never been shown before. Attain ultimate profits and obtain endodontic excellence through the synergistic combination of technology, teamwork and smart scripting. “Mud Run with Reciprocation with rotary techniques” … Hands-on strategies and solutions for enhanced success From Access: planning the CBCT-assisted “surgical strike” and safe access into hyper-calcified canals Retreatment: strategies and in-depth step-by-step protocols to avoid referring retreatment cases out. Dentist in Ashok vihar| Best Dental treatment in Ashok Vihar|Best Dental in Ashok Vihar| Doctor Looking for best Dental treatment? Look for Sachdeva Dental Clinic. Dr.Rajat Sachdeva Director at Sachdeva’ s Dental Institute .Achieving excellence in Dentistry. Best implantologist in your city . Restoring function and aesthetic of your mouth. We provide painless and quality treatment at affordable price. With friendly and hygienic environment. Because we believe in perfection. Best Dental treatment in Delhi| Best Dental Doctor in Delhi| Best dental implantologist in Delhi Dr. Rajat Sachdeva spreading smile by his devotion in the field of Dentistry and achieving the excellence in Implantology We at Sachdeva's Dental Institute providing best Dental treatment. With proper sanitation , healthy atmosphere and best treatment will give you a comfort . Get the best treatment and have mettlesome smile. Best Dental clinic in Delhi| Best Dental Doctor in Delhi| Best Dental Implantologist in Delhi As a center of clinical excellence, our dentistry expertise is unmatched and unrivaled in our region. When you are searching for best treatment in Delhi , look for Dr. Sachdeva Dental institute. a multispeciality Dental Clinic in Delhi . We are also known for being caring, friendly, approachable and for our ability to provide the right information at the right time. Because you deserve the best.. Dental Implant Courses in Delhi | Dentistry Courses in Delhi | Best Dental Institute in Ashok Vihar Dr. Sachdeva Dental Institute is a cumulative Dental Institute , that is dedicated to hunt an excellence . 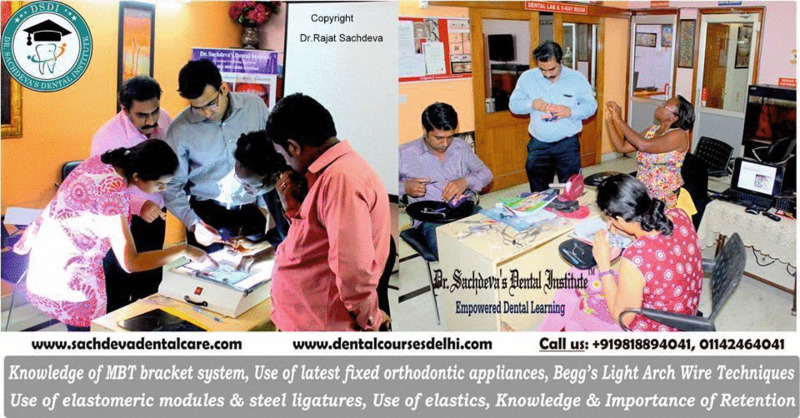 Dr.Rajat Sachdeva is aspiring their Students to reach a height of advanced Dentistry. Under his mentorship, students will acheive a comprehensive knowledge and experience of an updated version of Dentistry. Dentistry Courses in Delhi | Dental Implant Courses in Delhi | Best Dental Implantologist in Delhi.